Hello again, friends! I just finished chapter six in Carol Ann Tomlinson’s The Differentiated Classroom and I’m here to keep you all updated! Last chapter discussed how teachers need to begin their planning for differentiating their classes and how important it is to remember exactly what students need to learn. 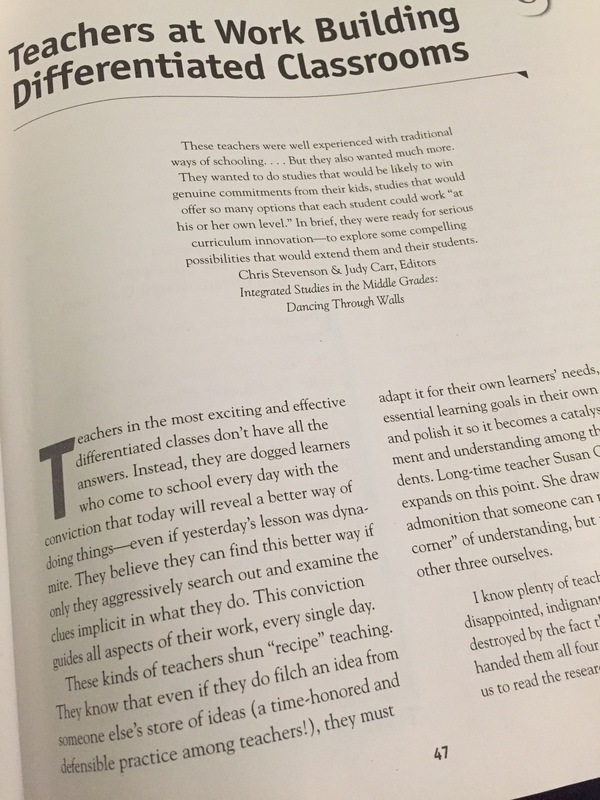 Chapter six is titled Teachers at Work Building Differentiated Classrooms and talks about how important it is for teachers to remember to differentiate what, differentiate how, and differentiate why. 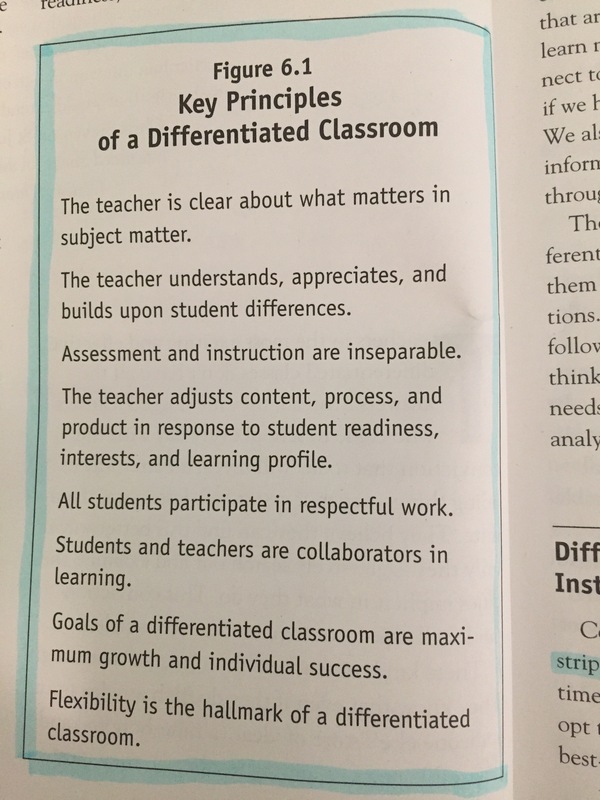 Also included, which I personally found very relevant was a figure outlining the key principles of a differentiated classroom with some important points for educators to remember. The rest of the chapter was laid out much like chapter one, which samples from real classrooms of differentiation in action. I liked this chapter primarily for these samples as they gave me real, useable ideas for my own classroom. They were much like a jumping off point, if you will. Thanks for reading, stay tuned for chapter seven! If you’d like more information about the book, here’s a link to it on Amazon.